Please note that this case study was first published on blogs.ucl.ac.uk/eicah in March 2013. It was last check by the project team on 19 August 2014. For citation advice, visit ‘Using the website’. The eighteenth- and early nineteenth-century history of Englefield House, particularly its connections with the East India Company in this period, remain largely hidden. There is no sign of the East India Company and its Indian ventures on the exterior of the building. There is no published record of individuals visiting Englefield and noting its East India Company connections. Nevertheless objects, people and wealth all linked Englefield House to the East India Company in the eighteenth and early nineteenth century. Using correspondence, wills, inventories and objects this case study reveals how such connections shaped Englefield in the eighteenth and early nineteenth century. Rather than treating Englefield as an inert object, this case study examines the country house as a series of processes to uncover the histories that are seemingly absent from Englefield’s exterior. Building on Mark Girouard’s contextual approach to country house history, it particularly focuses on the movement of people, objects and money into and through this house and explores the different processes that prompted such movement. 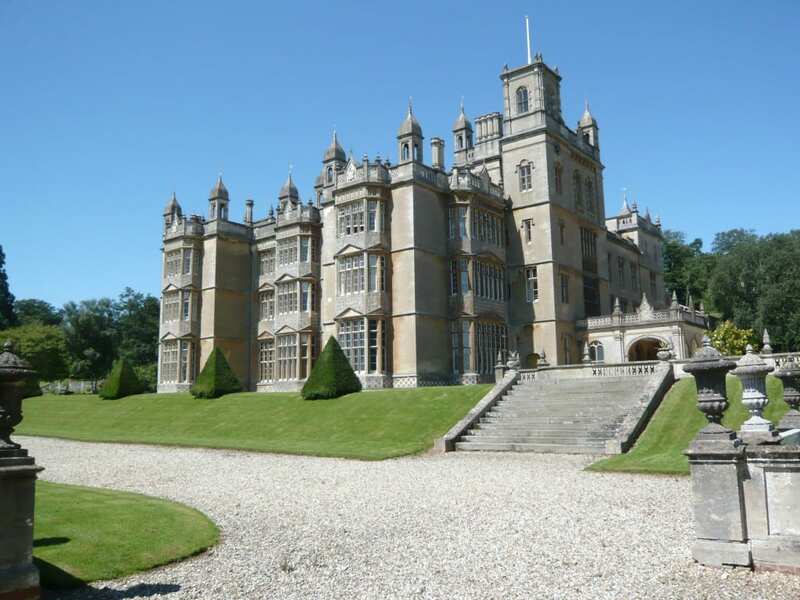 Marriage, inheritance and renting ensured that new people unconnected with the original Englefield family entered and occupied Englefield House in the eighteenth and early nineteenth century. For a longer introduction to the central arguments in this case study – click here. 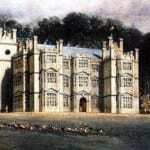 Richard Benyon, Lady Margaret Clive and Elizabeth Sykes were all connected to the East India Company and came to reside at Englefield House at different points during the eighteenth century. Richard Benyon worked for the Company, Lady Margaret Clive was effectively married to the Company and Elizabeth Sykes was daughter to a Company man. This section of the case study tracks how such individuals came to inhabit Englefield House. In 1745 the widow Mary Wrighte married Richard Benyon of Gidea Hall, Essex. In doing so she began Englefield’s long connection to the East India Company. This section explores Richard Benyon’s early life and questions how and why he came to be reisdent at Englefield House in the mid-eighteenth century. 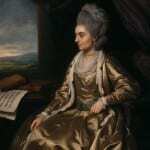 When Mary Benyon died in 1776, Englefield passed to Paulet Wrighte the Younger. While in possession of the house, Wrighte made many changes to the interior and exterior of Englefield House. In making these changes, however, Wrighte incurred debts, which had important consequences for the next owner. In the 1780s Englefield House required a tenant. Lady Margaret Clive took up residence in 1782. Although we know little of the objects Lady Clive brought to Englefield, correspondence provides evidence of the people she invited there. When Richard Benyon’s grandson Richard Benyon, inherited Englefield in 1796 the house began to be shaped by another generation of Benyons. This section explores the changes Benyon made and the legacy he established. By the early decades of the eighteenth century luxury Asian objects, such as porcelain, lacquerware and silks, had become an important part of the British country house interior. Such wares were generally brought into Britain along trade routes travelled by the European East India Companies. 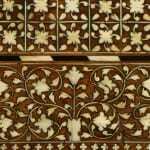 This part of the case study examines the movement of such objects into the interiors of Englefield and questions how personal objects brought back by individual East India Company officials were differentiated from other luxury Asian objects brought in by the Company. It asks what did these objects mean to the families who transported and owned them? An inventory survives for Englefield House for 1741, four years before Richard Benyon entered it. 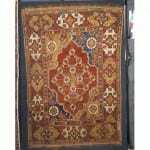 Compiled by a certain Richard Chillingworth, the inventory depicts a house filled with luxury global objects – Turkey carpets, japanned dressing boxes and ‘India’ pictures. How did this house come to contain such objects? 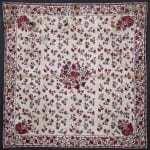 As an East India Company official working in Madras, Richard Benyon knew about textiles. He came to use that knowledge not only in his work but also in his personal life when sending gifts and mementoes. Through the deployment of detailed material knowledge Benyon was able to express affection and regard to distant relations. For Benyon, objects were important things. Both Mary and Richard Benyon understood how objects could be used to strengthen familial ties across space and time. In bequeathing Indian objects to her son, Mary not only expressed affection through the transmission of valuable commodities, however, she also created a connection between her son and the East India Company. 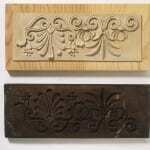 Such objects provided a material record of the family’s history. The text and research for this case study was primarily authored by Kate Smith. Daniel Benyon (1664-c1709), Richard’s father was christened 12/8/1664 at St Nicholas Acons, London to Daniel Benyon Snr (c1628-1690), tallow chandler of Crooked Lane, and Mary, his wife. Not much is known about him. According to Burke, he married a Mary and their son was Richard (born 26 Nov 1698). Richard had an older brother (or possibly an uncle) Bernard Benyon (c 1685-1715) who also moved to India with him in 1711 and died at Fort St George, Madras in 1715. Daniel Benyon was probably a merchant, and appears to have been based in Madras, India in 1701-2. He died before 1709 when his son Richard, then an orphan, was sent to Madras. It is possible that Burke has the name of Daniel Benyon’s wife wrong, and that it was Elizabeth rather than Mary. A Daniel Bynian from Deptford, Blackheath, Kent was buried at St Margaret Lee Kent on 27/5/1708, followed by his widow Elizabeth on 19/10/1709, and daughter Elizabeth (29/7/1709). Daniel Benyon married Elizabeth Moore in April 1691. They also had a son George christened at St Alfege, Greenwich (10/5/1692), on whose baptism certificate he is described as a ‘merchant’. Indeed, it is also possible that he married twice, and that Bernard was the son of an earlier marriage. Bernard Benyon married around 1710 to Grace and had two children at Fort St George, Madras: Edward (13/2/1712, who returned to work in Madras in 1733) and Grace (30/6/1713). Daniel Benyon was the son of another Daniel Benyon and is recorded in Boyd’s Citizens of London as married to a Mary and having three children between 1660 and 1664: Mary (Benyen) 15/9/1660, Daniell (Binnion) 12/8/1664 and a third unnamed child who was buried 30 Mar 1663. Daniel Benyon was buried at St Dunstans & All Saints on 19/4/1690 with the reference “of Wapping to St Nicholas Acons”. St Nicholas Acons is just 200m from the address given by Daniel Benyon in 1652 of ‘St Michaels Crooked Lane’ and 600m from the church where his brother Gabriel was baptised in 1619. Daniel Benyon was born c1628 and, like his father Gabriel , trained as a tallow chandler. 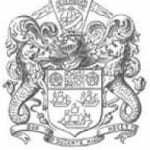 He is listed as accepting an apprentice (John Harrison, son of Richard, citizen and stationer) on 20 Jan 1663/4, and later served as Master of the Company of Tallow Chandlers in 1689. Daniel Benyon is mentioned in 1671 in Chancery Proceedings when his nephew Benjamin Benyon sued him over the estate of his father Gabriel Benyon. Gabriel Benyon’s’s will (PCC 1662) lists two sons: Daniel and Robert, and Robert’s son Benjamin, as well as his wife Susanna. Benjamin was probably born about 1657, as Benjamin Benyon, ‘son of Robert citizen and apothecary’ was apprenticed to Richard Joyce a tallow chandler in Mar/1671. Gabriel was the executor of his brother in law JohnCarter’s will in 1664. john Carter was an ancestor of a famous American family that includes the two US Presidents Harrison. Gabriel Benyon was the youngest of the three sons of Thomas Benyon of Berkeswell, WArwickshire (will PCC 1608) and his wife Isabell Higginson. Thomas was the son of THomas Benion (d 1543) and his wife Margery Cotton, of Stoneleigh, Warwickshire. Both Thomas and Margery came from old Shropshire families based near Whitchurch. I have more if you are interested. Many thanks for getting in touch. This is really interesting and useful information about the formation of the Benyon family in the late seventeenth and early eighteenth century. It gives me a much clearer idea of the networks from which Richard Benyon emerged. Thanks again! !